The State Intellectual Property Office of the P.R.C. received over 1 Million patent for invention applications in 2015 . The State Intellectual Property Office of the P.R.C. received over 1 Million patent for invention applications in 2015 , according to the State Intellectual Property Office of the P.R.C. 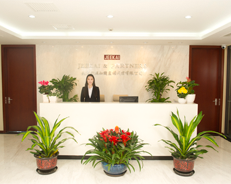 on January 14, 2016, with a year-on-year growth of 18.7 percent, and granted a total of 359000 invention patents in 2015.Jeekai & Partners was elected again as one of the ten good patent firms in Beijing by BJPAA in 2015.